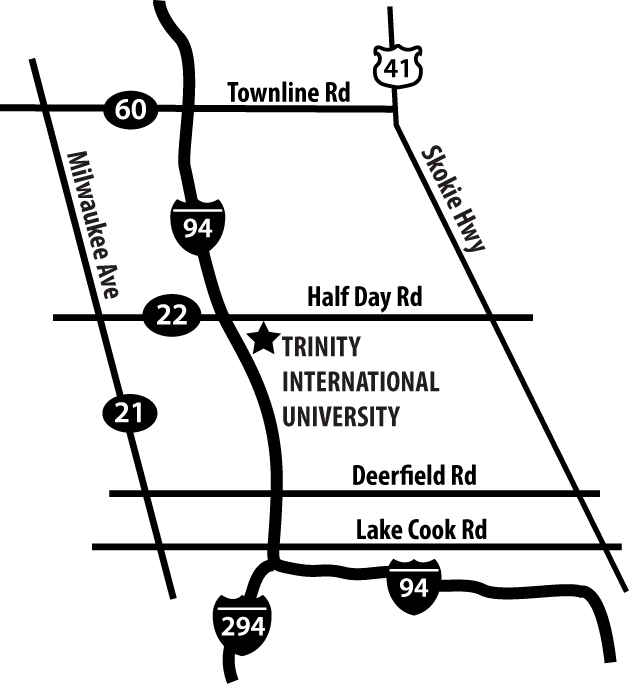 Trinity International University is located at 2065 Half Day Road in Deerfield. Exit Half Day Road from I-94 and head east. Trinity’s entrance is located on the south side of Half Day Road, just east of Lakeside Drive and west of Telegraph Road. 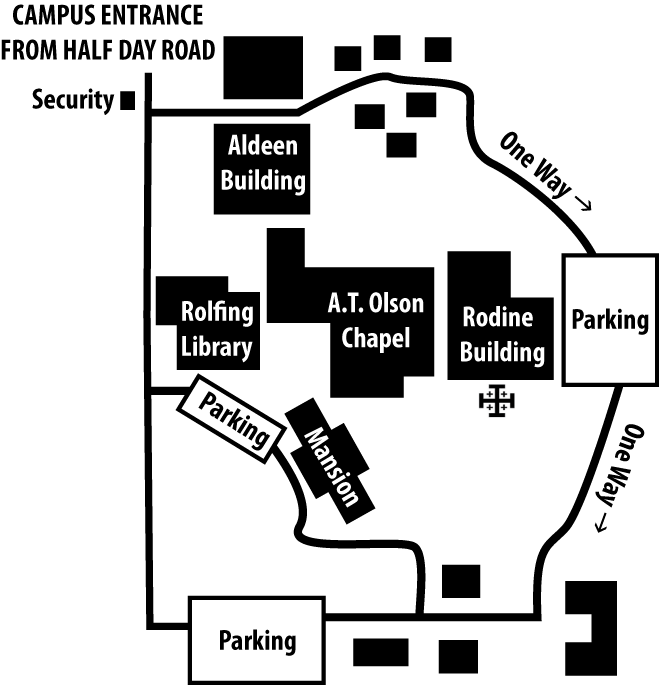 Parking is available in the faculty/staff parking lot east of the Rodine Building and in the lot in front of the Mansion. Overflow parking is in the other lot shown above. The entrance to the Rodine Building, where Redeemer will be worshiping on Sunday mornings, is on the south side of the building.